Properties in Erbalunga average 4.6 out of 5 stars. Luxury apartment in a fishing village of Cap Corse. 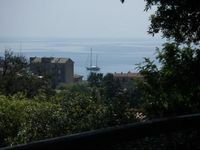 Property 32: Luxury apartment in a fishing village of Cap Corse. The house was really very comfortable, well-equipped, with beautiful pictures, fantastic television set and other fun accessories. 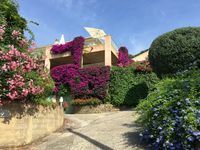 The main charactestics were: the silence, the pretty garden and the beautiful &quot;L&quot; terrace with a wonderful view on the sea, where it was so nice to stay, to read, to eat and to cook barbecue. All these qualities in a good position near a nice village, easy to reach by feet.